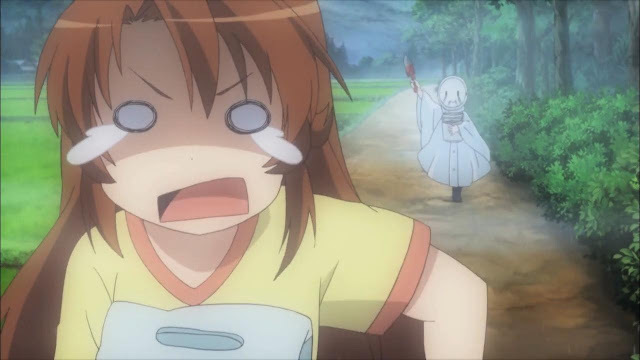 What is NNB [Short for Non Non Biyori]? 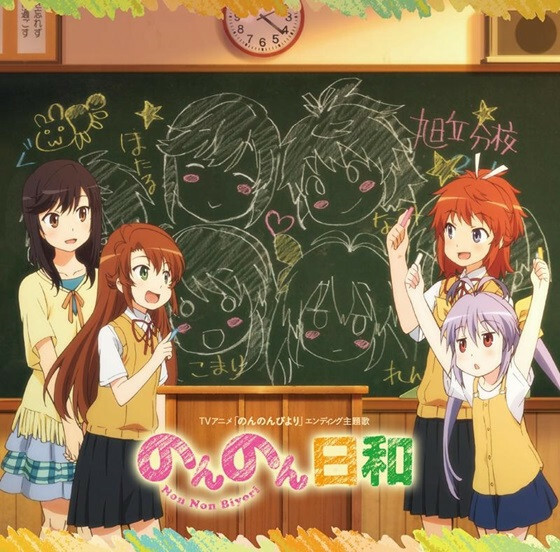 Non Non Biyori is a slice of life anime that centers on the life of 4 girls, which i sRenge, Natsumi, Komari and Hotaru. It follows their daily routine and adventures. Primarily an Iyashikei [Healing anime], it is arguably called the king of Iyashikei by many critics. The critics were right. I enjoyed watching the series, both the first and the second season. Iyashikei anime is, unlike action anime, which forces you to follow the action and the battles, designed to make you relax from a really stressful day, or after you return from work, feeling exhausted. If you watch this anime right after you return from work, then you are doing it right. While not every episode hit the mark, when it does, it does it in an excellent way. At times, it can be funny, it can be relaxing, it can be emotional, it can be relatable, but it hardly fails, like I said at the beginning not every episode hit the mark. Like Barakamon, it has a thematic acuity. 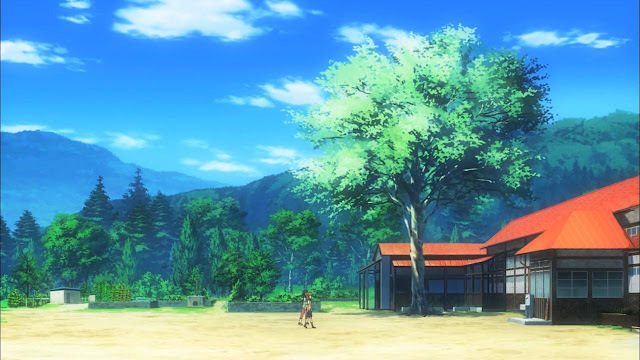 The village, which serves as the background and the theme at the same time. The background is always full of color and looks nice, and at the same time, it soothes into your heart everytime you look at the background, even when it is not focused. And when it does get used as an object of preposition by the gang, it does it’s job perfectly. At times, you will be taught about something new, such as kabuto-ebi, fireflies landing in leaf, and etc. Unlike some comedy or slice of life anime that fails horribly when it tries to be emotional, when NNB goes emotional, it hits right in the spot. Most of the time, it’s Renge. There’s one episode where she lost she made a friend and went to play with her numerous time before she returned to the city. That time, Renge cried and you can feel her emotion when you saw her tears. Or another example follows Renge having KabutoEbi as pets, until it dies. Renge isn’t shown crying but her drawing shows her crying until Natsumi told her that the kabutoebi are laying eggs and there are baby kabutoebi. When she shows her happy face, you can feel her emotion once again. It shows that NNB can perfectly captures the emotion of a 1st grade elementary school perfectly. Not only Renge, but others are also shown. Every episode is also told in several stories, but most of the time, it splits into 2 segments. Each segments has it’s own jokes. Some are good, some are so good you are laughing so loud, some are simple, and some are emotional. Almost every joke depends on the simple things that can be utilized to make you laugh, or just plain using Renge and her playful personality, or even just using Natsumi’s rebellious trait, or etc. Either way, almost every jokes work, for me. I like almost every character in NNB whenever they are given screen time. If I have to choose, it’s Renge, but I can’t really pick one character since almost everyone has their charm and somehow, when they show it, you will regret saying you didn’t really like the character. 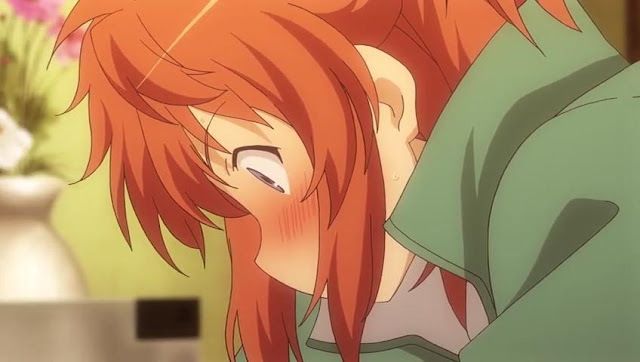 Natsumi, for example, shown in one episode of her being very young and told her brother she’s going to marry him. This left Natsumi red-faced and out of character. It’s simple, but it shows her charm, that a slacker and tomboyish girl like her has a soft side of herself like that. It’s not just her. Hotaru, despite her height that dwarfs almost everyone else, is still a 5th grader and an episode tells us how much she is still a kid, rolling on a sofa, throwing a simple tantrum, calling her parents papa and mama, and how she immediately rejects snacks when her favourite food is for dinner. I never thought Natsumi can be like this. That about sums up the basic review of NNB by me. If you need a breather, watch this anime and you won’t regret it one bit. I can’t really recommend this anime to the action-lover though, since this anime pace is slow, too slow, and the comedy often drags or takes too long to be absorbed. The good : Great characterization, great background, theme fits perfectly, good pacing, one of the best anime ever made [for some]. The bad : Pace may be to slow for some people, jokes can drag out. Highlight moment :Natsumi left red-faced at episode 8 season 1, Renge crying at episode 4 on both season, everyone when they realize Hotaru’s actual age, Hotaru when she’s not too adult.